It was absolutely devastating to see. The world looked on in horror last night as Notre Dame in Paris continued to burn. 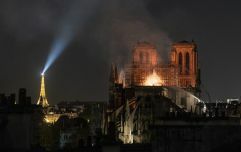 The iconic cathedral in the French capital caught alight yesterday afternoon. Its spire collapsed after 7pm when flames burst through the roof. However, French president, Emmanuel Macron has promised to rebuild it, because it's what its history "deserves." According to BBC, the president said that the "worst had been avoided" and he will soon launch a fundraising scheme for its reconstruction. "That's what the French expect, because it's what our history deserves." According to reports, French billionaire Bernard Arnault’s family and his LVMH luxury goods group will donate €200 million to help repair Paris’ Notre Dame Cathedral. Dropping water from helicopters to extinguish the blaze has been ruled out as the weight of the water would cause the entire building to collapse, according to France's civil defence and crisis management agency. 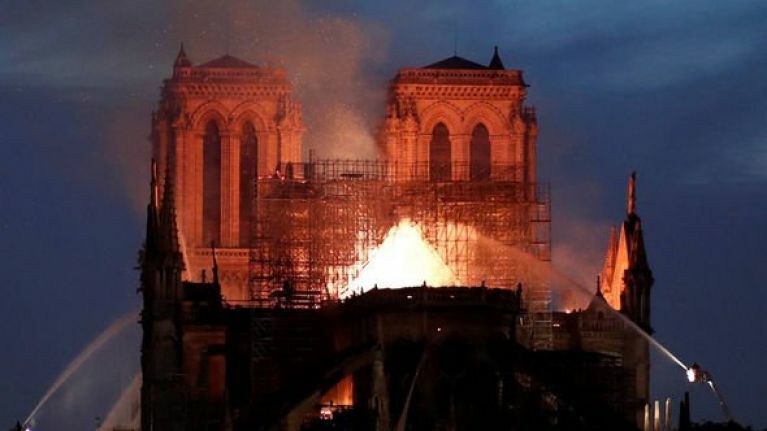 Crowds gathered as the blaze ravaged the 850-year-old structure, with reports saying that the thousands of onlookers begun to sing hymns.